At Holiday Inn Express & Suite, we keep it simple and smart. As IHG’s fastest growing hotel brand, we’re first choice for the increasing number of travellers who need a simple, engaging place to rest, recharge and get a little work done. 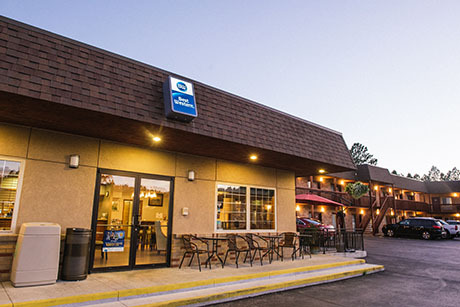 Enjoy the scenic route into town when you choose to stay at Holiday Inn Express & Suites Custer, located just minutes from picturesque loops through the Black Hills. Cruise down Needles Highway, Iron Mountain Road, and the Wildlife Loop Road between towering rock formations and winding pigtail bridges. This contemporary and award-winning hotel is open seasonally for visitors hungry for adventure in South Dakota. 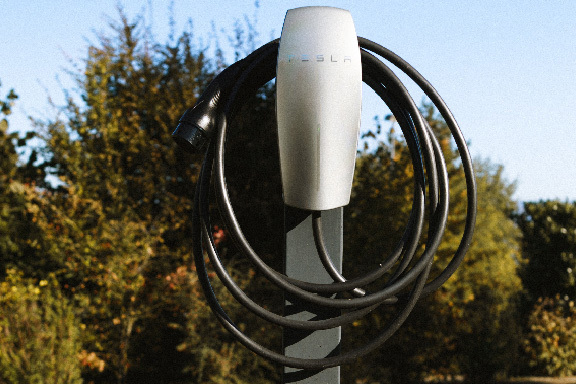 We offer everything guests need and provide more where it matters most. Our rooms and suites are not only well-equipped with modern amenities, but also thoughtful features to compliment your stay. Step out to a private balcony where you can enjoy inspiring views of the surrounding landscape, and relax with a fresh cup of java from the in-room Keurig coffeemaker. Additional amenities in every room include free Wi-Fi, free local calls, a flat screen TV with cable and HBO, iron and ironing board, refrigerator, microwave, hair dryer, air conditioning, and cozy duvet covers. 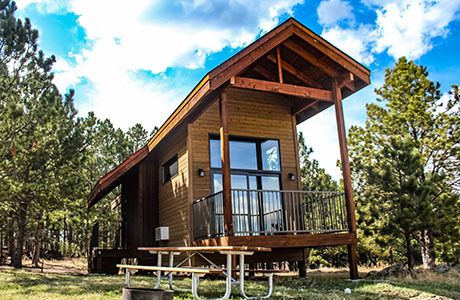 If you’re looking for Black Hills accommodations for a large group, we’ve got you covered. We’re happy to set up blocks of rooms for your party. Our team goes out of their way to make sure your group has a personal and extraordinary experience. We have intimate knowledge of the area, and are happy to help plan outings that best fit everyone’s tastes. We can also arrange meals (including breakfasts to-go and picnics) or provide assistance with luggage or special needs. 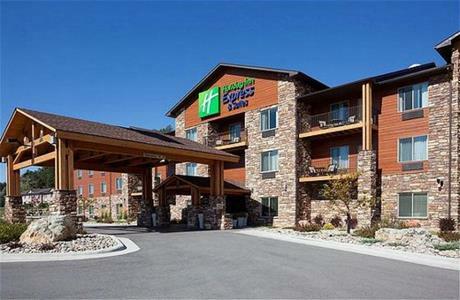 At the Holiday Inn Express & Suites, you’re minutes away from National Parks, Mt. Rushmore, Crazy Horse and Custer State Park. Oh, and our hotel front desk staff have loads of great recommendations, itineraries and insider info on what to do while you’re here. Check out our Activities & Adventures page and learn more about what to do here will visiting our neck of the woods! We have received the Great Service Star Award every year since 2013, in addition to IHG Quality Excellence Awards. Every member of the team is dedicated to providing the best possible experience! The waterfall on the back patio often tempts local wildlife to come closer and the fire pit is the perfect place to relax on a summer evening. We are dedicated to providing the perfect backdrop for your dream summer vacation! 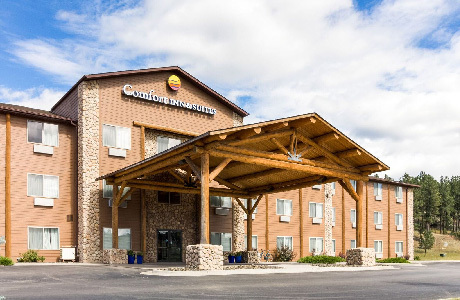 Relax and rejuvenate in our Standard King Room lodging in Custer, SD featuring a streetside balcony, free Wi-Fi, coffee maker, microwave, refrigerator, and a flat screen TV with HBO. Relax after a long day of sightseeing and adventure in our comfortable King Bed Guest Room. Enjoy modern amenities including free high-speed Wi-Fi, 32″ TV with cable, microwave, refrigerator, and Keurig Coffee Maker. 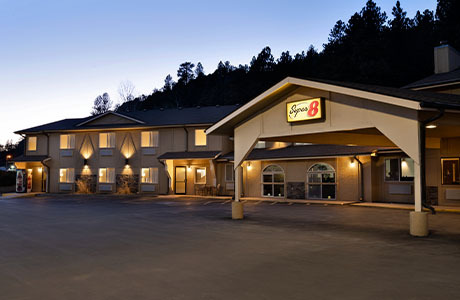 Perfect for groups and families, this comfortable lodging in Custer, SD provides two queen beds outfitted with cozy linen for a restful night’s sleep. Enjoy free Wi-Fi, cable entertainment on a 32” TV, as well as a refrigerator and microwave for your convenience.